This caused a great deal of dissension and confusion in the Church, and so, to settle the issue, the apostles convened a council in Jerusalem to discuss the matter. After considering both sides of the theological aisle, Peter, James, Paul, and the other apostles and elders came to a decision that they then promulgated throughout the Church. The 15th chapter of the book of Acts lays the foundation for the next 2000 years of how God would guide His Church regarding faith and morals – and that guidance would come through Church leadership (see 1 Timothy 3:15). Note what the apostles said in verses 24-27 of chapter 15 (NASB): “Since we have heard that some of our number to whom we gave no instruction have disturbed you with their words, unsettling your souls, it seemed good to us, having become of one mind, to select men to send to you with our beloved Barnabas and Paul, . . . Judas and Silas, who themselves will also report” the doctrinal decision of the Church leadership in Jerusalem. In other words, the apostles declared that those who required circumcision of the converts had no authority to do so. Further, they had no authority to teach doctrine since they had not been sent by the Church leadership. The circumcision question was only the first of many heretical challenges to crop up during the next twenty centuries. Arianism raised its horns in the fourth century. Arius was a church presbyter who taught others Jesus was created by the Father, and therefore inferior to the Father. Such teaching caused dissension and confusion in the Body of Christ, and so to settle the question of Christ’s deity and the doctrine of the Holy Trinity, the Church convened a council in Nicea in 325 A.D. After considering both sides of the theological arguments, the Church determined Arius in error and promulgated the Nicene Creed, which became the official Church position regarding Christ’s deity. Nearly sixty years later, the Second Ecumenical Council in 381 A.D. affirmed the deity of Jesus and, in response to yet another heresy (this one formulated by Macedonius, who denied the deity of the Holy Spirit), promulgated the Nicene-Constantinopolitan Creed which officially declared orthodox Christian faith regarding the Holy Spirit and the Trinity. So what does all this history have to do with the statement within the Creed, “I believe in one God”? In early 2014 my wife and I had lunch with a young man, a member of the Jehovah Witness faith group. Jehovah Witnesses believe Jesus was created by the Father and, therefore, inferior to the Father – just like Arius taught in the fourth century. I asked him if he had ever heard of Arianism. He had not. Then he told us something so disturbing, I do not think I will soon forget it. He said he used to be Catholic and was raised in a Catholic home – but it was a home in which his family was ignorant of Church history. It was also a home in which none of the adults thought it important or necessary to read and study the Scriptures. When as a young person he met members of the Jehovah Witness group, he began to study the Bible with them. Soon, he joined their fellowship –not only he, but both of his parents, three siblings, several aunts, uncles and other members of his family. They had all been Catholics, but Catholics ignorant of the richness, the depth, and the history of the faith dating back to the Apostles. And so, an entire family was lost to the Church. 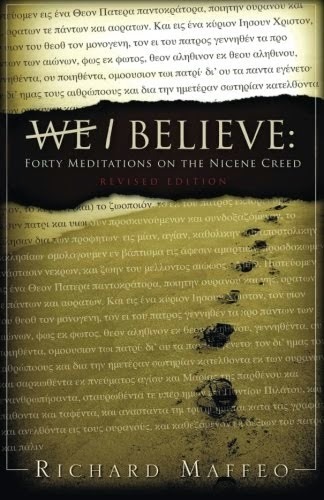 When we recite the Nicene Creed and proclaim, “I believe in one God . . .” we can be certain our belief in “One-God-Yet-Three-Persons” is absolute and unalterable truth because the Church, founded on the Apostles, and affirmed by successive Church councils through the millennia, has definitively and authoritatively proclaimed that truth. Unless we settle in our hearts the question about who God has chosen to authoritatively teach doctrinal truth, we will always be at risk of being swept up in the latest – or the oldest –heresies. Prayer: Oh, God, You are truth itself. 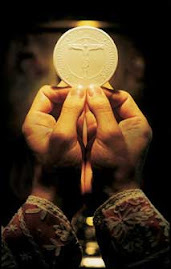 Guide our hearts and our minds by your Holy Spirit into greater understanding of, and confidence in, the truth You delivered to us through the Church. Protect us, Holy Spirit, from darkness masquerading as light. Amen. The other day I wrote an essay while in the valley of disappointment with God. In that essay I said I often think, especially lately, how good it would be if God would take a seat in my living room and tell me, “Hush. It will be alright” You can read the essay here. But as despondency settled over me, I argued with the Holy Spirit, telling Him how nice it would be, nonetheless, if the Father would take a seat in my living room. Two nights later I opened my Bible to the place I’d left off the night before. Luke 16. It starts off with the parable of the dishonest manager, moves into a brief interchange between Jesus and some Pharisees, and a quick verse about divorce. Then the Lord brings us the lesson of the Rich Man and Lazarus. The Rich Man lived in sumptuous splendor within his mansion. Meanwhile, the beggar Lazarus sat outside the man’s gate, covered with sores and begging for crumbs. Neighborhood dogs roamed by to lick his weeping wounds. I closed the Bible and repented for pouting. And for finding fault with God. And for insisting on seeing a fulfillment of my dreams, and not His. My hopes, and not His. 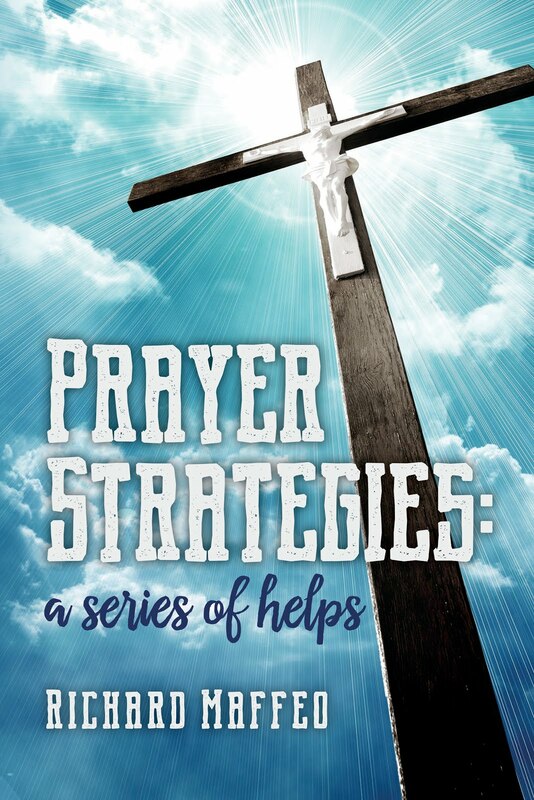 You can find my YouTube Bible study through 1 Peter if you click here. I heard her before I jogged around the corner. A long, slow, desolate cry. Blonde pig-tails, blue jeans, a long sleeve pullover shirt. She couldn’t have been older than four. She sulked in her driveway as Dad unloaded groceries from the van. He called gently for her to come inside. “I dontwannacomein. I wanna stay here.” She said something else but her woeful sobs swallowed her words. As I neared, she turned in my direction and started walking toward Dad. Maybe she felt embarrassed because I heard her crying. Or perhaps she was nervous to be around a strange man. But now, after all these years, I wonder if it will be alright. It does little good to make believe my doubts don’t exist. God knows what I think before the words even cross my lips. The days of pulling our children close to ourselves and wiping their tears and telling them it will be alright are gone for Nancy and me. They are no longer four-year-olds. They’re in their thirties. Two of the three live on the other side of the country. I wonder those things because so many times, especially since some of my dreams and my deepest hopes have withered and died before my eyes, and I let loose mournful tears on my wife’s shoulder . . . . I wonder how He feels toward me when I don’t feel His presence with me. And all I have left is my belief in the God described by the Bible as One who does hear my prayers, who does hear my sobs, and who does hold me to Himself – even though I cannot sense it. Trust in the LORD with all your heart, on your own intelligence rely not; In all your ways be mindful of Him, and He will make straight your paths (Proverbs 3:5-6). I had heard about the rappelling tower. Its reputation loomed larger than life weeks before my arrival in San Antonio for military training. I stood in line with two dozen others and stared soberly at the fifty-three foot rickety wooden structure. My palms start to sweat when I stand on a chair. "Pick up the rope in front of you." The sergeant’s bark broke into my thoughts. With a series of twists and jerks, he demonstrated how to wrap the rope around, under and behind our waists and thighs to form a saddle. Then he marched us to the ladder and we climbed toward the clouds. Clumps of dirt fell from the boots of those ahead of me. When the last straggler took her place on the platform, the sergeant asked, "Who's afraid of heights?" I raised my hand, hoping he’d send me back down the ladder. I was wrong. With the proverbial patience of Job, the sergeant fastened a rope through the "D" ring and guided it around to my back. My stomach churned as I stepped toward the ledge. Like a robot, I obeyed the sergeant’s instructions and grabbed the line in front of me with my left hand and the line behind me with my right. The tail end fell what seemed five miles to the ground. Sweat dripped from my forehead as I leaned back into space. Resigned to my fate, I let out a few inches of rope. In a moment, I was perpendicular to the tower wall, fifty-three very long feet above the Texas soil. I pushed away from the wall and plummeted toward earth until I gripped the rope and stopped my descent. Euphoria swelled in my chest when I realized I was still alive. I pushed again and fell another twenty feet. One more shove and I landed gently on the dirt. Just as I needed to believe the rope would hold me, I need to believe God will not leave me hanging in space – or let me fall. And though I might wonder if the Father really knows how far it is to the bottom, I’ve also experienced what the Psalmist learned, "Those whose steps are guided by the Lord, whose way God approves, may stumble, but they will never fall, for the Lord holds their hand" (Psalm 37:23-24). That’s one of the things the Creed helps us remember – not only what we believe, but in Whom we believe. No wonder you and I can trust Him, even if He asks us to lean into His arms and dangle fifty-three feet above the ground.